A widely held belief about women’s health–that dietary fat causes cancer, including breast cancer–has turned out not to be supported by scientific evidence. 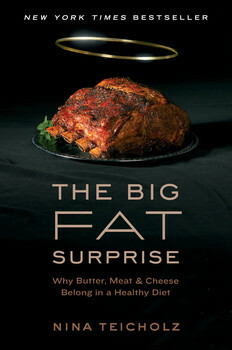 From The Big Fat Surprise: Why Butter, Meat & Cheese Belong in a Healthy Diet. Since the 1980s, women have been advised by health authorities to reduce their consumption of fat in order to prevent breast cancer—which of course was part of the wider recommendations against dietary fat for all cancers and all people. The idea that fat might lead to cancer was first aired at the McGovern committee hearings in 1976, when Gio Gori, director of the National Cancer Institute (NCI), testified that men and women in Japan had very low rates of breast and colon cancer and that those rates rose quickly upon emigrating to the United States. Gori showed charts demonstrating the parallel rising lines of fat consumption and cancer rates. “Now I want to emphasize that this is a very strong correlation, but that correlation does not mean causation,” he said. “I don’t think anybody can go out today, and say that food causes cancer.” He urged more research. However, the Senate committee, in its enthusiasm to solve as many of the nations’ health problems as possible, overlooked those reservations, and implied in its report that a low-fat diet could help reduce cancer risk. Cancer thus became the second “killer disease” that the Senate pinned on the back of fat consumption. And as with heart disease, the committee’s endorsement of a particular hypothesis had a similar ricochet effect all over Washington, DC. Based on the sort of international comparisons that Gori had made, as well as some data on rats, the fat-cancer hypothesis was soon adopted and incorporated into reports by the National Cancer Institute (1979 and 1984), the National Academy of Sciences (1982), and the American Cancer Society (1984), and in the Surgeon General’s Report on Nutrition and Health (1988). They all recommended a low-fat and low-saturated-fat diet to avoid this disease. Indeed, the idea that fat caused cancer was a principal reason that a diet low in fat has been formally recommended by the government since the late 1970s. For women, the advice was especially compelling, because while heart disease could easily be shrugged off as a middle-aged problem among men, cancer is something that even a young woman can worry about. Breast cancer especially. It is therefore surprising to learn that as far back as 1987, the epidemiologist Walter Willett at the Harvard School of Public Health had found fat consumption not to be positively linked to breast cancer among the nearly ninety thousand nurses whom he had been following for five years in the Nurses’ Health Study. In fact, Willett found just the opposite to be true, namely, that the more fat the nurses ate, particularly the more saturated fat they ate, the less likely they were to get breast cancer. These results held true even as the women aged. After fourteen years of study, Willett reported that his team had found “no evidence” that a reduction in fat overall nor of any particular kind of fat decreased the risk of breast cancer. Saturated fat actually appeared protective. These conclusions were all associations. But although epidemiology cannot demonstrate causation, it can be used reliably to show the absence of a connection. For instance, if a great many women are eating a relatively high-fat diet and are not getting breast cancer, as was the case here, we can most likely rule out dietary fat as the cause. The NCI had become very invested in the fat-cancer hypothesis, however, and would not relinquish it so easily. After Willett’s results came out, from what was the largest study on women and breast cancer at the time, Peter Greenwald, director of the NCI Division of Cancer Prevention and Control, published a paper in the Journal of the American Medical Association (JAMA) entitled, “The Dietary Fat-Breast Cancer Hypothesis Is Alive.” He brushed over Willett’s study and instead laid down an argument based on data from rats, in which “a high-fat, high-calorie diet” clearly induced mammary tumors. He was right, and there were plenty of rat studies to confirm this effect. Yet what he neglected to mention was that the most effective fats for growing tumors were polyunsaturated; the fats found in vegetable oils that Americans were being counseled to eat. Saturated fats fed to rats had little effect unless supplemented with these vegetable oils. As for human data, nearly half a million women by 2009 had been observed in studies in Sweden, Greece, France, Spain, and Italy, along with more than forty thousand postmenopausal women in one US study alone. In all of these, researchers have not been able to find an association between breast cancer and animal fat. Even the NCI’s own studies came up empty-handed—the most recent of those being the Women’s Intervention Nutrition Study in 2006. This trial managed to get women to drop their fat intake to 15 percent or less, thereby answering criticisms that the women in earlier studies had not seen any results because they failed to lower their intake of fat enough. But even at 15 percent, the NCI still could not find a statistically significant association between fat reduction—of any kind or amount—and reduced rates of breast cancer. According to that 500-page report by the World Cancer Research Fund and the American Institute for Cancer Research in 2007, which is the most comprehensive review of the evidence on cancer to date, there was not “convincing,” or even “probable” evidence that a fatty diet increased the risk of cancer of any kind. In fact, the results of studies since the mid- 1990s have “overall tended to weaken the evidence on fats and oils as direct causes of cancer,” wrote the authors. Nina Teicholz has written for Gourmet magazine, The New Yorker, The Economist, The New York Times, and The Washington Post. She also covered Latin America for National Public Radio. She lives in New York with her husband and two sons.